For far too long, beer brewers were boring. It took until 1975, for Chrissakes, for Miller to release its light beer, and the industry was so shocked by this innovation that Miller owned the category for the next decade. But even Miller’s competitors, slow as they were to adapt, learned from their mistakes, and by the early ‘90s things got freaky. Every big brewer tried anything it could to be new: there was “dry” beer (strip out the aftertaste! ); “genuine draft” beer (put it back in! And flavor it like it’s pulled from a tavern’s keg! ); even “clear” beer (because... ?). None of them moved product, however. Because that was the other thing about the early ‘90s: sales remained flat, despite all the innovations meant to cure them. 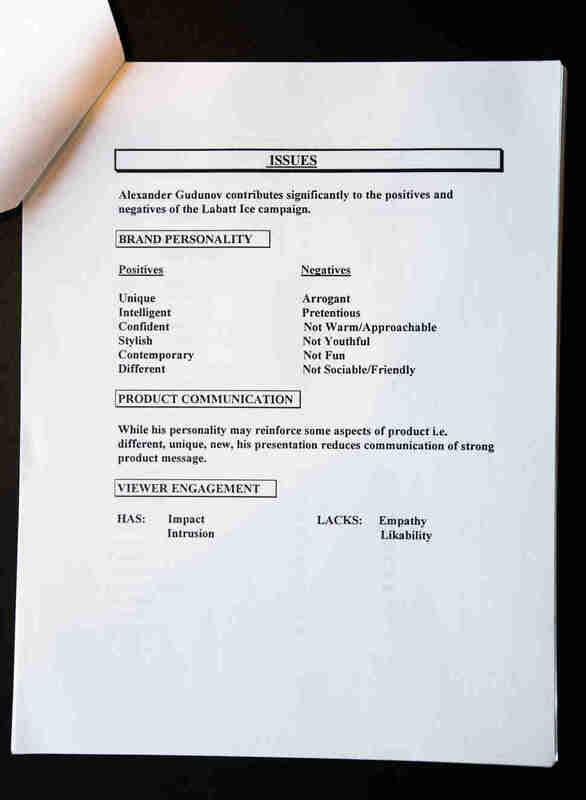 Consumers saw through the advertising slicksterisms. But one style of beer broke through in that “silly season,” as the author Paul Brent put it. One style hit it huge with consumers and started “wars” among advertisers and drew lawsuits between brewers stung by patented processes: ice beer. Ice beer was the beer, the epoch-definer of the flannel-and-Docs era, the one that went from nowhere to everywhere in no small part because it carried way more alcohol per serving than other beer at that time. Ice beer was so successful, we can actually drop the sarcastic air quotes around it. It seemed legit. It seemed like the next light beer, especially for Labatt, the plucky Canadian macrobrewery that launched the category, and that managed to involve, in one way or another, Rutger Hauer, a terrorist from Die Hard, America’s Eighth Circuit Court of Appeals, Sharon Stone, David Fincher, MADD, and the August Busch family to help bring it to prominence and/or infamy. And then, as quickly as it had arrived, it was gone. So what happened? How come we don’t see ice beer anymore? Well, that’s the story of ice beer, too. 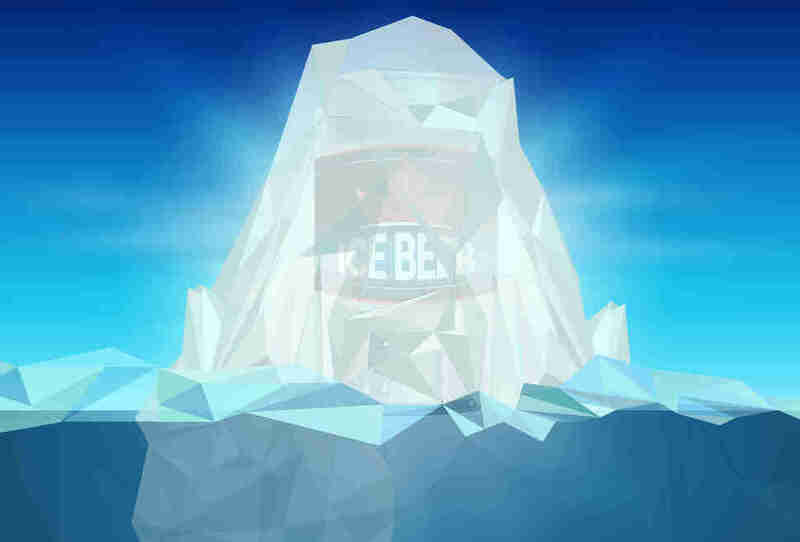 Cavanagh: “The concept of iced beer actually came out of a series of brainstorming sessions that we were doing -- and contrary to what some people believed, did not actually come from the concept that had previously existed, I guess in Germany: the Eisbock. That’s not at all where it came from. Brent: “Then disaster struck. 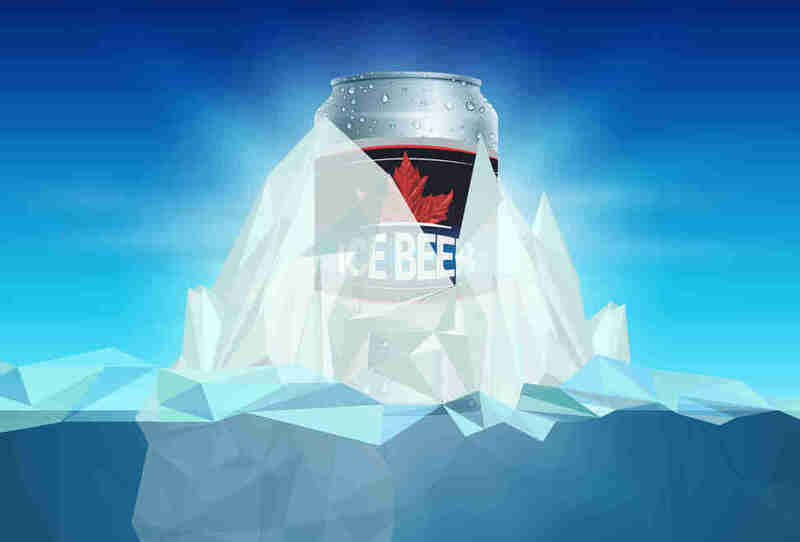 Late on a Friday afternoon in March [Scali creative director Gary] Prouk received a call from an ad industry source that told him that Molson was currently shooting its own ice beer commercial and that it was using the ‘Welcome to the Ice Age’ line. And everyone started searching for a rat. Scali and Labatt had signed the actor Rutger Hauer, of Blade Runner fame, to be the spokesman for Labatt Ice. Hauer would remain on in the new campaign -- it’s just that Scali had to conceive and execute a new series of ads in days instead of months. Martin: “I don’t know if you remember this in Blade Runner but Hauer -- he always had these very philosophical lines, like ‘I’ve seen attack ships on fire off the rim of Orion’ and all this stuff. And he can pontificate and get away with it because he’s Rutger Hauer. So Gary Prouk and I went into the agency on a Saturday morning and we just basically started throwing lines back and forth. 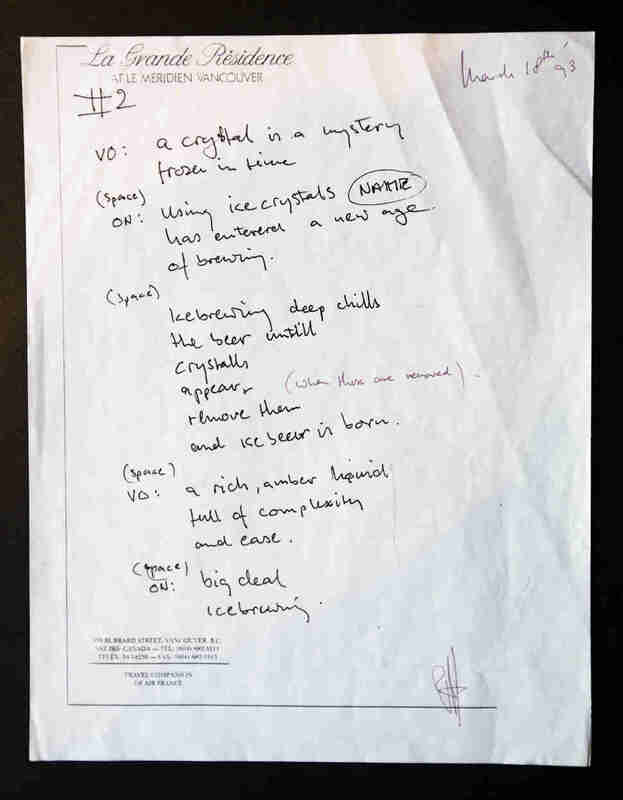 You know [drops into a slightly sarcastic voice], ‘The world was born of fire but purified by ice.’ We were just trying to write into the character of what Rutger Hauer was. “By the end of the day we had four scripts. They were going to be really, really simple: dark, moody, black on black on silver. Minor key, ominous kind of music that tried to set up the intrigue of this. But really it was a competitive campaign that the other guys were the fakes. Sold it to Labatt’s almost immediately. Loved the idea. And from that point on we went into absolute overdrive to get this campaign done. “We had about a 25-person crew that flew from Toronto to Vancouver literally that very same week to shoot what would be the opening pool of three ads. Blindingly fast stuff. Martin: “In those days you had budgets for this kind of stuff. You had, you know, an entourage. You’d pull into one of these places with all your gear and stuff and you’d look like rock bands. So we took over -- we had our production suite, a big tier of rooms at the top of the hotel... I don’t know what the running cost was for this thing, but that shoot was probably about 900,000 bucks. “I mean it was so odd to have him walk into this thing. ‘And then you’ll see a picture of me close up. And I’ll be talking and you’ll hear my voice echoing in the distance. And then I’ll turn and I’ll deliver another line to camera.’ Very odd. “So we’re all, ‘Oh, Rutger. That’s very interesting. That’s a good thought. Big deal. A nice touch.’ We’re sitting there like, ‘What are we going to say to him?’ Because amongst other things, we had to have everything -- everything has to be approved by the CRTC. Up here in Canada we’ve got something that governs our liquor laws and any script that you have for beer or wine or whatever has to go through the CRTC, which is our equivalent of the FDA, in a sense. So there are a very strict set of regulations, plus individual liquor boards. So any province that this is going to run in -- they have their own set of rules. We’d been through all this approval on those scripts. We can’t change them! I mean maybe we can alter, you know, a little tickle here or there. But anyway the most fundamental thing was that this was a completely different concept. “We called his agent up and we said, ‘We’ve got a real problem here. You’ve got to tell us: are these ideas from Rutger or is this only what he is planning on doing?’ Because, we reiterated, ‘We only have a little flexibility, virtually none on this. We have a crew, mobilized, that is going on location scouts based on our script. We just can’t have this thing thrown away a day before our shoot.’ So the agent said, ‘Well yeah. He kind of feels pretty strongly about this.’ So we said, ‘Well, we’ll do what we can to make some of these accommodations but you have to know: this is a really serious issue for us. The ideas were... not great. Hauer was an actor and not the creative director of an advertising agency, and his demands were something the Scali people had never encountered with any other celebrity spokesperson. "‘Well, if we could put him on the phone -- would that help us?’ So we do that [laughing]. Martin: “And as luck would have it, if you can believe this, Alexander was roughly the same size as Rutger. So all the wardrobe fitting that we’d done -- I can’t tell you how far along all this was with Rutger -- but this guy was able to literally step into his clothes. “So we’re all now feeling pretty good because we’ve got this great actor on board. But we had forgotten about the fact that, much like Christopher Lambert, English is not Godunov's first language! He’s Russian! And these are 100% dialogue commercials. "‘The vurl vas bourne of fahr but purr-vide by ahse.’ I mean, we got three, five, 10, 15 takes, nothing usable. And you can just see every performance, he’s just getting smaller and smaller. “The clarity of the line: we solved that by getting a phone patch on him the next week. And we actually had some technical issues on set with the audio; we could hear the elevator motor hum and stuff. And to his credit Alexander made time for us after the shoot and we had a one-hour phone patch and he delivered. As the Scali people were editing the commercial, they got word that Molson was about to release its ad. Martin: “We ourselves were bored with that style of stuff. I think [the sci-fi Godunov spot] was as much trying to stretch ourselves as giving the market an alternative to these kind of things. This was a chance to be almost literate in a campaign. It was fun to actually add a little bit of intelligence to a category that wasn’t really famous for it. Martin: “To cross over to popular culture like that? That’s spike[ing] the ball, man. That’s what you dream about." A selling point for the entrants in the new category was its alcohol content. Labatt had big plans. The mighty US brewers had noticed the uptick in sales, and so Labatt wanted distribution routes throughout North America, and something else too. Brent: “Initial Labatt Ice packages included a diagram earnestly explaining Labatt’s patented process. Labatt didn’t want to educate beer drinkers; it just wanted to convince them it had something the other guys didn’t. 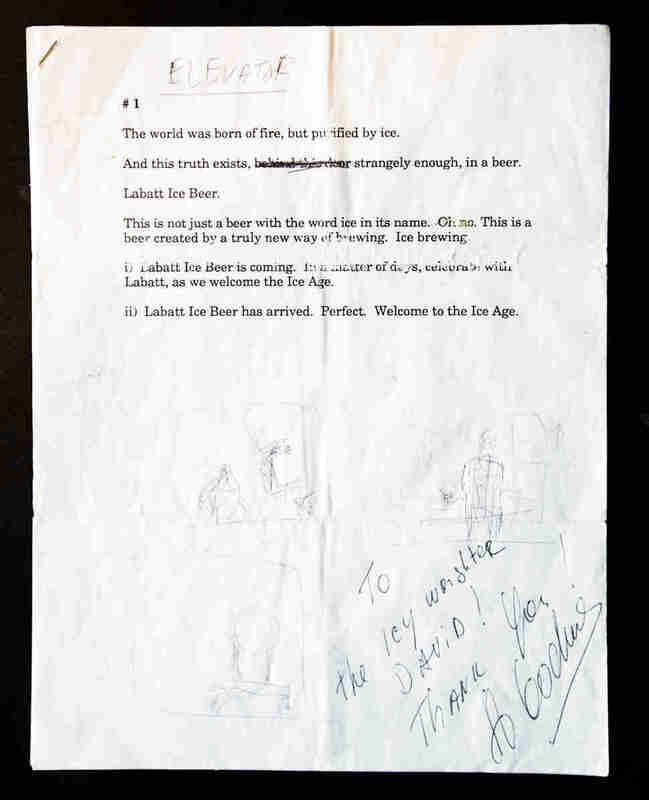 Molson did acknowledge using a much simpler process to make ice beer. 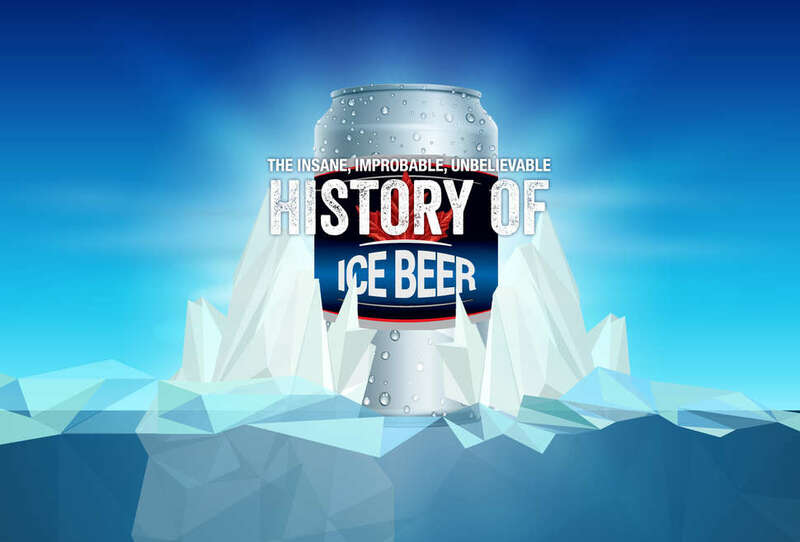 While Labatt partly froze the beer and ‘gently removed’ the resulting ice, Molson claimed its process started to freeze the beer then thawed it without doing anything else to it. “Hugo [Powell, Labatt’s president] took the luxury of promoting Labatt’s new technology and brewing process around the world in hopes of licensing it." Meanwhile, the race was on to find US distribution channels. But the strength of Labatt’s position -- its capital expenditures and patented processes -- now weakened it, as the company waited for its new technology to be brought to all its plants for a big US rollout. 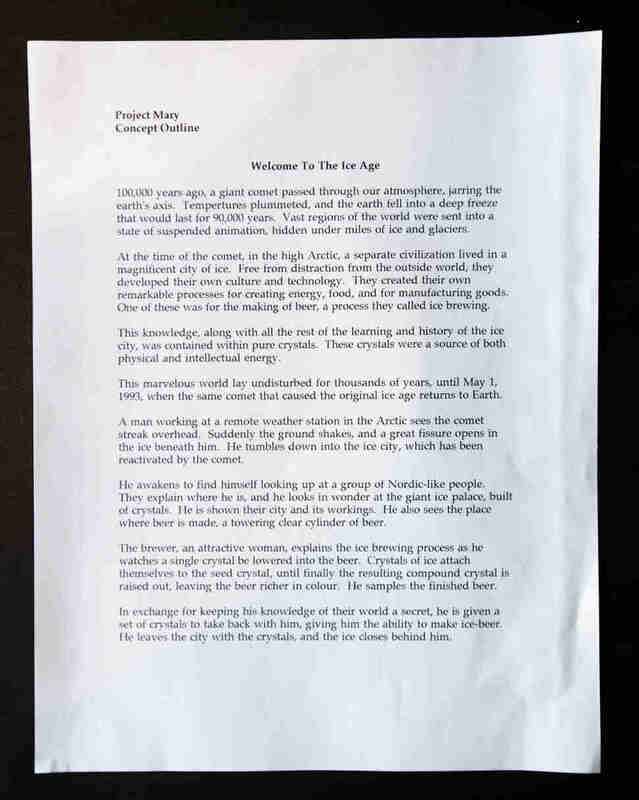 The New York Times, August 3rd, 1993: “Banking on the strong performance in Canada of a new product called "ice beer," Molson Breweries U.S.A. plans to introduce Molson Ice in the United States next week with trial runs in Atlanta and Michigan. The Miller Brewing Company had just acquired the United States marketing and distribution rights to Molson products, and soon the US market saw a lot of Molson Ice and the company’s line extension, Black Ice, but also Miller’s own foray into the market, Miller Lite Ice. 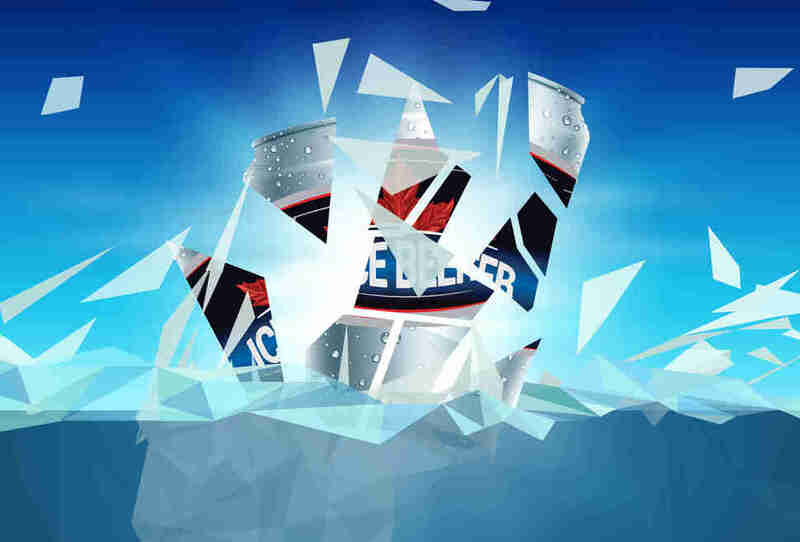 With Molson doing brisk US business, with Miller and then Coors introducing their own ice beers, and with Anheuser-Busch -- Labatt’s brewing partner -- strangely silent, Labatt president Hugo Powell decided to double down on Labatt Ice, and take the category where no one else considered going. Martin: “Did you hear about David Fincher and Sharon Stone? No? I’ll give you précis to this. [Labatt] was planning on going out with a high-test version of this beer, but they did not want to have the same situation where Molson or any competitor gets wind of this. So in classic cloak-and-dagger style, we decided to create a diversion. All for a project that Labatt had no intention of launching. Martin: “And we then decided we needed a director for this thing. The director we wanted was David Fincher. And Fincher had just come off doing Alien . He’d done a lot of commercial work, regardless. So we sent the boards down to his producer and his producer called us back and was like, ‘Yeah, David will take a phone call.’ And he was on set doing Seven most likely. “So, one night, we had a focus group and we ‘accidentally’ left the storyboards behind, so that they’d get found by people who would then leak them to Molson and stuff. Because everybody uses the same focus groups. We knew that Molson or another agency would find them. We knew that somebody would find out that we’d been talking to David Fincher about something. And that was exactly what happened. ‘Oh, were you talking to Sharon Stone?’ ‘Oh, no, no nothing, nothing at all.’ And so the rumor mill started, which was exactly what we wanted. The industry was caught unaware, and reacted quickly to the brew that had 40% more alcohol than the already potent Labatt Ice. Robert Solomon, who crafted MAAD memos that year in response to Labatt: “I was not concerned with the fact that it’s iced. I was concerned with the fact that it was 40% stronger beer. And the advertisement, the strong -- you’re talking about something that’s clearly being marketed to young males. Cavanagh: “I mean, Maximum Ice tasted very good. Which I felt was a very dangerous thing. You know, young people drink beer and they tend to drink in large quantity. And I thought that if they were consuming this like they consumed regular beer, that it was just not the right thing." The trade newspaper Strategy, November 29th, 1993: “Labatt Breweries of Canada has bowed to concerns of special interest groups and pulled its ads for 7.1% alcohol Maximum Ice. “The commercial, which was created by Scali McCabe Sloves of Toronto, was taken off the air last week in Ontario and will be pulled in other provinces over the next few weeks." Labatt suffered another blow early the following year, when Anheuser-Busch, its American partner and the brewer that had received a pitch to license Labatt’s technology, released its own version of iced beer, quickly known as Bud Ice. Cavanagh: “The case was heard in Saint Louis. And one of the jury members actually held shares in Anheuser-Busch but was not disqualified. There was no question from the get go who was going to win that case. It was a bit of a foregone conclusion before it started. 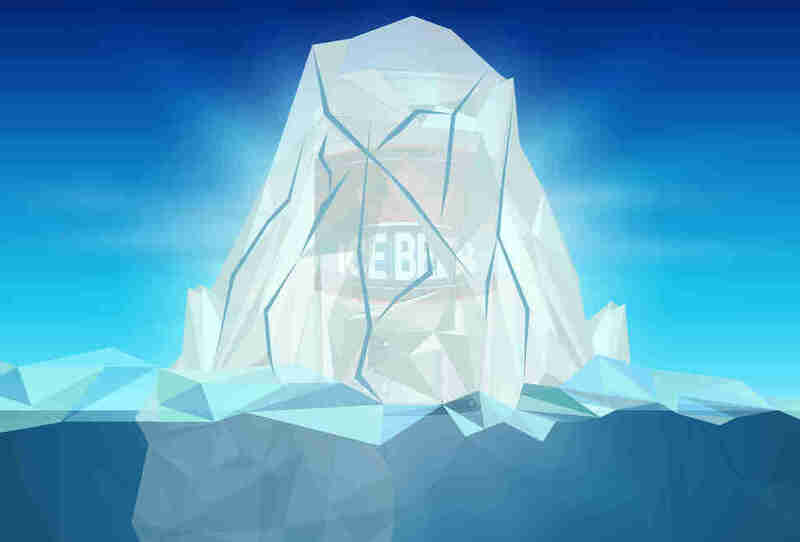 What harmed Labatt’s legal case, and its standing in the ice beer category, was how many brewers had suddenly rushed an ice product to market. By this time, the marketplace was flooded with not only ice beers, but premium ice beers. Molson’s Cardella: “Coors had a Steel Reserve, with a very high alcohol content ... I think the benefit of the product actually became part of its demise. At the end of the day, if you’re a 24-year-old guy and all of a sudden you’re chewing on your tongue -- that’s why you don’t see a lot of beer around 6%. Jim Koch, Sam Adams’ founder: “At one point in the mid-'90s, just for fun, I made a strong beer with an ice cream freezer. And I just put dry ice in an ice cream freezer. And you can turn Miller Lite into, like, 40% ABV. It’s something anybody can do. It wasn’t particularly good. It sort of threw the beer out of balance. It just became kind of weird tasting. Paul Kix is a senior editor at ESPN the Magazine. Follow him @paulkix.